It always makes me happy when I see great chef's coming around to craft beer. 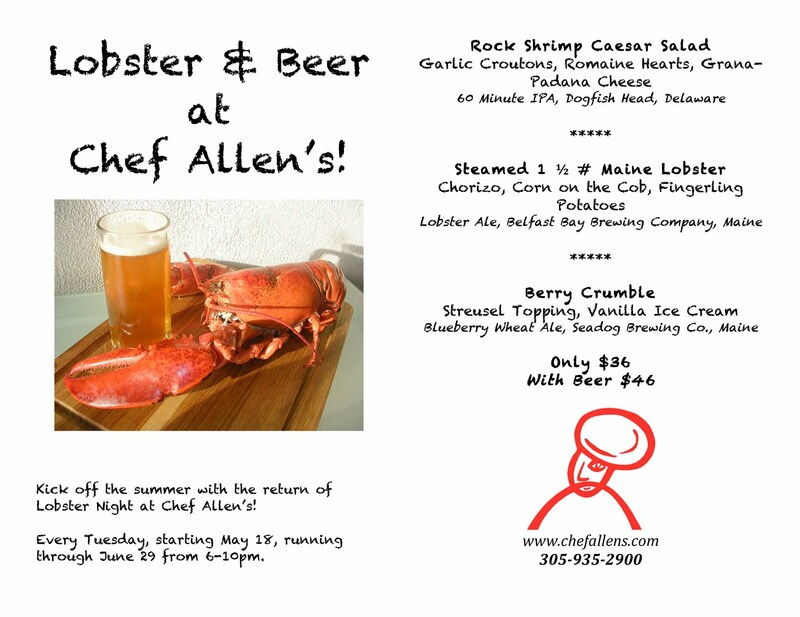 The James Beard Award winning Chef Allen Susser of Chef Allen's Restaurant in Aventura is the newest convert to the craft beer pairing menu. 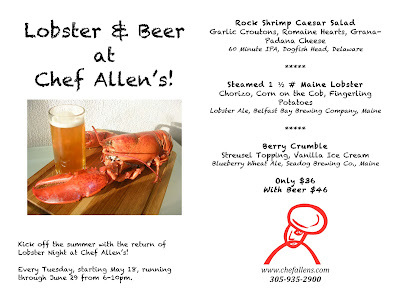 Starting next Tuesday, May 18th, and continuing on every Tuesday until June 29th from 6-10pm you can indulge in this amazing lobster and beer paired menu. This three course menu you can have with beer for $46 or without for $36 (but why would you want to go without beer!?) I'll be attending the opening night to get American Craft Beer Week kicked off right. Hope to see some of you there as well. Another one of about 100 reasons I wish I lived in South Florida. Looks like a great time!